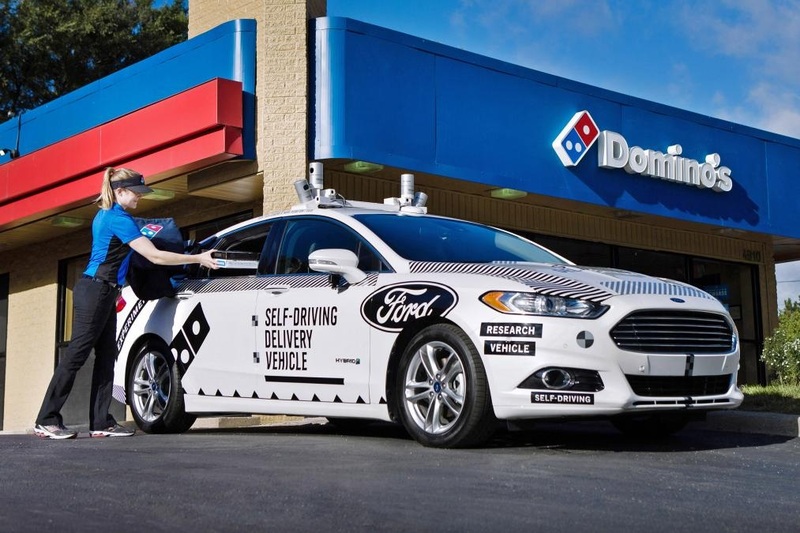 Domino’s Pizza is trialling self-driving delivery cars in the US, following a partnership with Ford. The move will see the autonomous vehicles used to deliver pizza to Domino’s customers in the US city of Ann Arbor in Michigan. The aim is not to test if self-driving cars work, but to see if customers are happy to go out of their homes to collect the pizza from an empty car. The research is being carried out with Ford, which plans to start making self-driving vehicles in 2021. Russell Weiner, the president of Domino’s USA, which is based just outside Ann Arbor, said the firm wanted to ensure the delivery of its pizzas this way would be “clear and simple” for customers. “We’re interested to learn what people think about this type of delivery,” he said. “The majority of our questions are about the last 50 feet of the delivery experience. For instance, how will customers react to coming outside to get their food? “We need to understand if a customer’s experience is different if the car is parked in the driveway versus next to the kerb,” he explained. The experimental Ford self-driving car (called the “Ford Fusion Hybrid Autonomous Research Vehicle”) will contain not only a pizza in an oven to keep it warm, but also some researchers who will record what goes on, plus a ‘safety driver’ who can take over the whell if needed. The process has already had a preliminary, self-driven, test at Mcity, the urban test centre on the campus of the University of Michigan in Ann Arbor, which specialises in testing driverless vehicles. 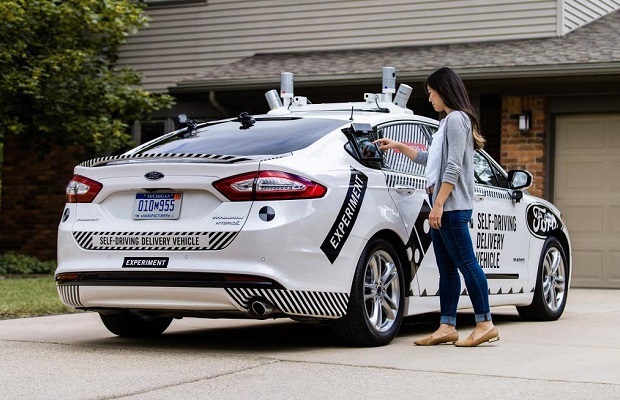 “As we increase our understanding of the business opportunity for self-driving vehicles to support the movement of people and goods, we’re pleased to have Domino’s join us in this important part of the development process,” said Sherif Marakby of Ford. Domino’s has already tested the delivery of pizzas in New Zealand using drones and self-driving robots. Amazon, Alibaba, Google and UPS are all trying to develop services using drones, while in June the British food and grocery delivery firm Ocado unveiled a prototype driverless delivery van designed for short distances.